Complete the OACRAO Scholarship Application by the November 2, 2018 deadline. This autumn, OACRAO will award 3 students with a $1,000 scholarship each. 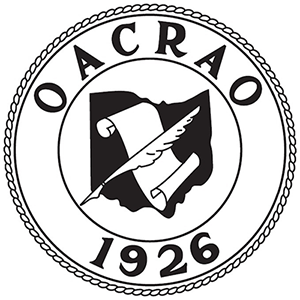 Students who work at a current OACRAO member school within the Registrars, Admissions, Student Services or Enrollment Management offices are eligible to apply. Please encourage your student workers within the Registrar’s, Admissions, Student Services, and Enrollment Management offices to apply! Please list your current involvement in leadership and service activities including the specific years of active participation. Select one of the leadership or service activities listed previously and describe in detail how it has shaped you as a leader. Which part of your higher education experience do you feel will benefit you most after you earn your degree? Since the start of the scholarship in 1997, OACRAO has awarded nearly $50,000 to hardworking individuals throughout the state. To keep funds alive, the organization collects private donations and hosts a silent auction each year at the annual conference. This year, the Scholarship Committee welcomes monetary donations from those outside of the organization, as well as those who already participate at their institutions. This is a great way to show your support to those making a difference in our hometowns. In advance, we would like to thank you for your contribution. You have made a difference and it is greatly appreciated. To see the list of past recipients, please click here.